Register ONLINE or by calling the Museum at (970) 962-2410 or stopping by the front desk. 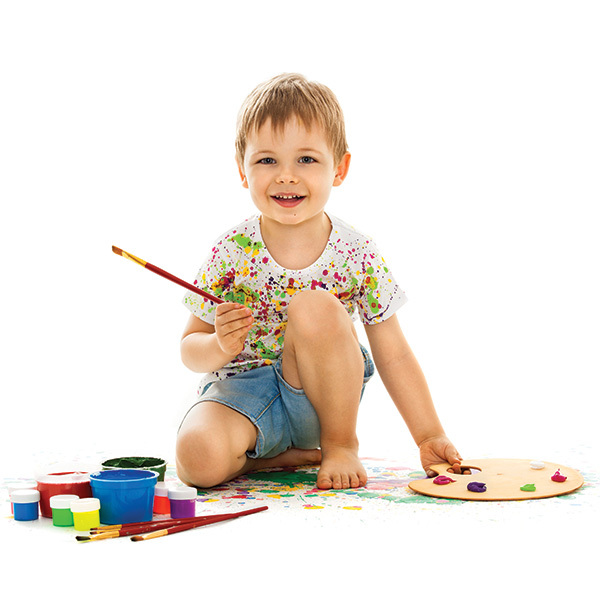 Let your young artist explore the world of art! A parent or guardian must accompany the child during the session. No younger siblings, please. Please see registration policy below for more details. Butterflies and Patterns, Oh My! Get out of the sun for the morning and enjoy some creative time with your tot for fantasy cold treats constructed from colorful paper and glitter. Kick off Shark Week® by creating all things sharks! Multi- sensory shark bottles, ocean drums and shark neckla ces! “Baby Shark… do, do, do, dododo…”. Get into “action” as we create Jackson Pollock inspired canvases and colorful freestanding 3-D zany wire sculptures. Be sure to dress for the mess! (NOTE: This class will meet until 12 pm).